Fashion label Mistamina is a British brand delivering a chic clothing range for the great outdoors, designed by Lady Melissa Percy to provide a unique, youthful update to outdoor wear, styled with a tomboy edge. Mistamina offers a unique position in the fashion world and was born to bridge a gap in the market for affordable feminine outdoor clothing. The collections are designed to challenge preconceived misconceptions of female outerwear. 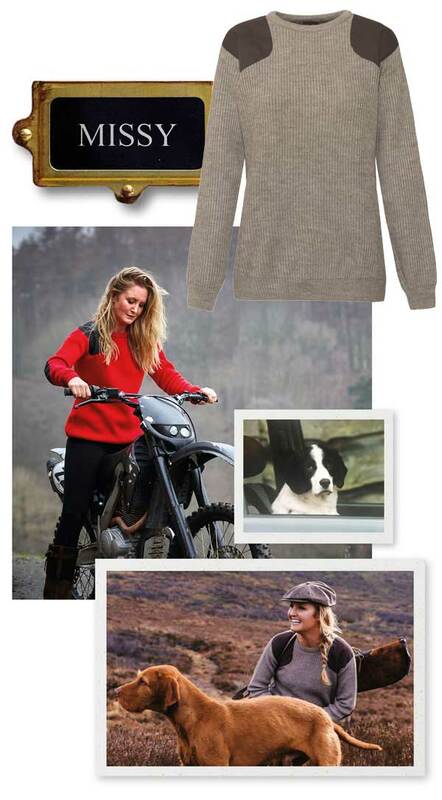 The ethos of the brand combines style with a relaxed, comfortable feel taking you from a vibrant London lifestyle to country weekends effortlessly. The second capsule collection comprises five new vibrant and bold jumpers with shoulder and elbow patch detailing. These also sit alongside the firm favourites the camouflage Frank bomber jacket and Stanley jumpers in cream and black. All pieces are cut to flatter, designed for comfort and carry a colour palette featuring authentic rustic hues finished with contrast scarlet detailing – a symbol of Mistamina. 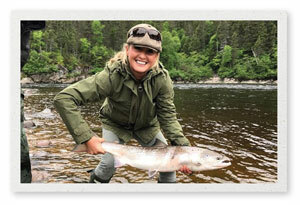 Three years ago, Missy set out to create her first feminine outdoor clothing line designed with a young, cool vibe. Missy has lived and breathed an outdoor life from a young age and fashion has always been close to her heart. With a love of British style Missy based the collection on designs she sketched when she could not find clothes to wear that were both stylish and that suited her fun and adventurous lifestyle. The resulting collection gives a subtle nod to her passion for the countryside with a unique edge.